The media and liberals worldwide have been raving about Barack Obama's "historic speech" in Phildelphia (video below) on racism and America. It has been compared to Martin Luther King's famous "I have a dream" speech. But whilst Obama-mania rages, a few short sentences early in the speech really made me sit up and listen. "They weren't simply a religious leader's effort to speak out against perceived injustice. Instead, they expressed a profoundly distorted view of this country – a view that sees white racism as endemic, and that elevates what is wrong with America above all that we know is right with America; a view that sees the conflicts in the Middle East as rooted primarily in the actions of stalwart allies like Israel, instead of emanating from the perverse and hateful ideologies of radical Islam." Did everyone manage to miss that Obama's position regarding the 'stalwart ally' Israel is far from even-handed and indeed is little different from that of Hillary Clinton - or for that matter, George W Bush? If not, this shouldn't come as much as a surprise. Try to guess who might have told the Israel Public Affairs Committee (AIPAC) Policy Forum held in March 2007 in Chicago that Israel is "our strongest ally in the region and its only established democracy," whilst reassuring his audience that "we must preserve our total commitment to our unique defense relationship with Israel by fully funding military assistance and continuing work on the Arrow and related missile defense programs." Consider for a second who might have said that "such advanced multi-billion dollar systems would help Israel "deter missile attacks from as far as Tehran and as close as Gaza." Yep, that was Obama again. who managed to avoid a single word of criticism of Israel, its relentless settlement expansion, the construction of the 'security wall', or the ecomonic blockade that has brought tmisery to millions of Palestinians. Still, at least the US armaments industry can sleep securely, they appear to have little to worry about from an Obama presidency. Little wonder, then that columnist Shmuel Rosner of the Israeli newspaper Ha'aretz concluded that Obama "sounded as strong as Clinton, as supportive as Bush, as friendly as Giuliani. At least rhetorically, Obama passed any test anyone might have wanted him to pass. So, he is pro-Israel. Period." POSTSCRIPT: Obama is also wrong when he says that describing white racism as endemic in the US is a distortion. Racism in the US most definietly is endemic and will remain so as long as the economic divisions that sustain it remain. But perhaps it's too much to expect that a Democrat, albeit a very eloquent one, would tackle the issue of race is a truly 'brave' way - by mentioning class. The review by Lord Goldsmith, the former Lord Chancellor, that proposes "coming of age" citizenship ceremonies for all school-leavers to swear allegiance to the Queen, apparently to encourage young person in the "responsibilities of citizenship", was just the first step. Gordon Brown has already spoken about the need for 'earned citizenship', which "should not only be a matter of their [immigrants] choice but should depend upon actively entering into a contract", whilst plans are in hand for a Britishness statement and new legislation in which 'rights and responsibilities' as intrinsically linked. The purpose of all this activity is to try and define 'Britishness' for the purposes of creating something called 'a greater sense of national cohesion' and, inevitably, to 'marginalise the extremists'. Writing in the Daily Mirror, the musician Billy Bragg said, "I'm proud of our diversity but I admit there is a hole at the centre of our multicultural society - what we need is something to bind us together as citizens." There are two problems, however, with Bragg's efforts to reclaim patriotism from the right wing. 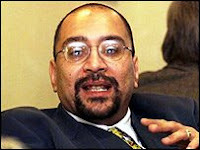 The first is that the government's plans for creating a British identity have, since the publication of the Cantle report following the riots in northern England in 2001, been premised on blaming immigrants for segregation - a theme taken up so enthusiastically by Trevor Philips of the Commission for Equality & Human Rights. It's hard to see how citizens can supposed to bind together if minority communities are condemned for failing to embrace supposedly 'British' values. But the second is the hypocrisy of claiming that in some mythical golden age, there ever existed peculiarly British values such as fairness and respect for others. Seldom were such values evident in the 1960s and 1970s, when the first generation of immigrants were arriving in Britain. If there is a hole at the centre of our multicultural society, it is the chasm of inequality, at the heart of which is a failure of the state to treat people as individuals. Discrimination against individuals' race, sexuality and gender is based on group stereotypes - which is why the idea that immigrants are responsible for a 'problem' with our national cohesion is fundamentally racist. And whilst the rights that are supposed to protect us as individuals from the state's use of coercion or aggression are seldom applied equally to all citizens, especially if they are black and get pulled over by the police, or gay and seeking to adopt children, then we will continue to have an increasingly divided society. The battles fought by campaigners over the years, including those that burst onto the streets in the early 1980s and in 2001, were an attempt to remind the state that all individuals, no matter how different they might be from those who exercise power, have a right to equal treatment. At the same time, what the government calls 'responsibilities' (once simply call 'the law'), beyond which individuals can determine their own actions, have been increasingly encroached upon. Meddling in our daily lives for the 'greater good', though anti-terrorism laws, violations of privacy and the repression of nonconformist or minority ideas, have weakened further the bindings that hold us together as citizens. In truth, the biggest obstacle to 'national cohesion' is the government and others like the press, who hold extraordinary power and use it to interfere in the lives of individuals and who proclaim the virtue of values that they routinely ignore. It is they who need to pass a test set by us on the "responsibilities of citizenship", not sixteen-year olds leaving school. It's has been one year since my friend Gilly died. It's strange, but up until now I've thought that I've been fairly calm about how quickly this anniversary has come around and about how I feel about it. A year ago today, following the frantic flight back from Texas to be home in London and able to say my goodbyes properly, it was a Sunday. I remember spending the whole day on the phone, talking and listening, from about eight in the morning until well past midnight. It was a pattern that continued for a couple of months afterwards, although not with the same intensity. Whilst I never really understood why some people chose to unburden themselves to a practical stranger, I was glad of it. It gave me something to do (which believe me was a massive benefit) and it brought me closer to old friends at a difficult time for everyone and to those who have become new friends over the last 12 months. That period seems like a long time ago. And then last night, at a gathering to mark and remember Gilly's passing, I was asked to say a few words to those friends about the building of the Memorial School in India - and I panicked. It wasn't dignified and it makes me burn with embarrassment just thinking about it. In the space of a few seconds, the following flashed through my mind: how can I talk about the school without saying a few appropriate words about Gilly? What on earth constitutes 'appropriate'? How can I possibly hope to sum up the complicated ways I know these wonderful people feel in any meaningful way? How can I even talk about by own thoughts when I don't even know what I think and feel? A year of talking and listening and I realised that still don't have a clue. But rather than just saying so, which I'm sure everyone would have understood, I tried to wriggle out of the responsibility and felt feel terrible for attempting to do so, even though I eventually managed to pull something reasonably coherent out of the bag at the last moment. And this morning, I got to thinking that whilst no-one ever really 'moves on' from loss, everyone I know exemplifies the way that people are still capable of 'moving forward'. Perhaps the degree of ignorance I suddenly felt last night is an indication that I've jumped over a couple of steps, that helping to raise a sackload of cash for the Buwan Kothi International Trust is great but not quite enough. That it's time to finally think about the impact of the death of a really, really special friend - a brother really - rather than just spending so much time banging on about Ken Livingstone, the media and the Archbishop of sodding Canterbury. What's the point of being stroppy and opinionated about the world at large if the really important questions are avoided, because we (well, me primarily) assume foolishly that no-one will ever ask them? Banning military uniforms in public - urban myth or government propaganda? Sometimes it’s too easy to overstate comparisons between the war in Vietnam and the current conflicts in Iraq and Afghanistan. But there seems to be historical precedent for deeply unpopular wars leading to allegations of blame falling on military personnel, especially when the governments that sent them into battle seem impervious to public opinion. The Homecoming, a book by Chicago Tribune columnist Bob Greene published in 1990, was devoted to the subject of anti-war protesters allegedly abusing Vietnam veterans, after he asked readers to tell their stories. Despite the extensive evidence of solidarity between the anti-war movement and Vietnam veterans, dozens claimed that protesters and others did, indeed, spit on and abuse returning soldiers. But in 1998, Vietnam veteran Jerry Lembcke published The Spitting Image: Myth, Memory and the Legacy of Vietnam, arguing that claims of insults and abuse towards returning soldiers were an urban myth intended to discredit the anti-war movement. 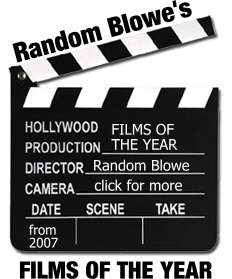 Lembcke alleged that Greene's accounts to "have elements of such exaggeration that one has to question the veracity of the entire account" and that the accusations of abuse became ingrained in the American consciousness only years after the war, through films such as ‘Rambo’. In 2003, Lembcke again reported that claims that soldiers had been spat upon had resurfaced in North Carolina. So, are the Peterborough claims the start of a British version of an urban myth? Cambridgeshire Police have no reports of such incidents taking place and the only example the Ministry of Defence could confirm is one in which a nurse from the base had her car window broken. So where did this story come from, and why now? Back in January, the government announced a review by Labour MP Quentin Davies of the public's perception of the military and one possible recommendation hinted at was more parades to welcome home units returning from active duty in Afghanistan and Iraq. The assumption within government was clearly that anti-war sentiment and the unpopularity of its military adventures had led large sections of the public to no longer believe that British service personnel are contributing what Des Browne calls “a great deal for this nation” – quite the opposite. The case made by the anti-war movement that British military operations are deeply damaging to Britain’s standing in the world and that the troops should be brought home is a negative perception that the government now feels must be managed at all costs. So it seems as though the Ministry of Defence’s crude PR exercise over the return of Prince Harry to Britain is just the first step in a classic case of information warfare. Now we have the non-story about RAF Wittering. Tomorrow, I fully expect a flood of outrage about students at University College London who, in what would otherwise have been a obscure decision completely ignored by the press, have voted to ban the military from setting up recruitment stalls at freshers' fairs and to sever all links between the Officer Training Corps and the students' union. Just like the Peterborough story, Gordon Brown has already condemned it. Let's hope Sham Rajyaguru, who proposed the motion, is ready for the tirade of indignation that will follow - when my old friend and comrade Hossein Zahir proposed one of the Tottenham Three, Winston Silcott, as Honorary President of the LSE Students Union in 1989, he was front page of the furious tabloids and had to be given a bodyguard because of the death threats the union received. Evidently the government is beginning to recognise that it has lost its militarily disastrous wars. With so little to show for five years in Iraq, it is now fighting a rearguard action for its credibility at home, trying to salvage what little it can through the manipulation of public sentiment. Clinton or Obama? There's Only One Choice! The latest press attacks that have led to the resignation of Lee Jasper, Mayor Ken Livingstone’s senior race advisor, have been the most sordid yet. I mean this not because of the salacious nature of the story in the Daily Mail, involving the publication of apparently ‘saucy’ e-mails from Jasper to long-time political ally Karen Chouhan from the 1990 Trust. These reveal little more than Jasper and Chouhan are great friends who, in what was supposed to have been private correspondence, have an intimacy that is hardly uncommon between people who have been close for so long. I suppose a psychologist would find interest in Jasper’s reference to himself as ‘the General’, my mother (a former school teacher) would probably say his spelling could do with some work and on the evidence of e-mails themselves, Jasper’s flexing techniques are, frankly, laughable. However, the Daily Mail wants its readers to believe that its sordid ‘revelation’ is a further demonstration of the corrupt relationships between Jasper and groups funded by the Greater London Authority. But the story proves nothing of the kind and indeed, the newspaper has done Jasper an enormous favour. It has giving him the best ammunition yet to back his otherwise unconvincing argument that more serious allegations rumbling away in the pages of the Evening Standard over the last few months are part of an orchestrated racist campaign. The Mail is, nevertheless, willing to embrace ethnic minorities if they fit into another of its stereotypes: those who are seen as respectable, hard-working and trying hard to be British. Examples of this include the black soldier Johnson Beharry, who was awarded the Victoria Cross, or most famously Stephen Lawrence’s parents. Neville Lawrence’s chance encounter with the Mail’s editor Paul Dacre, whose Islington home he had done some plastering work in, helped change the angle of the paper’s story from an attack on the ‘left-wing groups’ calling for a public inquiry into sympathetic reporting that culminated in the naming of the five murder suspects in February 1997. But the Mail's most consistent black stereotype is that of the criminal. From the hounding of Winston Silcott for the murder of PC Keith Blakelock to reporting of refugees and asylum-seekers, coupled with the almost complete exclusion of black people from stories of everyday life, the Mail serves up what its readership wants to believe. It’s in this category that the newspaper has placed Lee Jasper, with a portrayal of him as corrupt that now has an added sprinkling of stereotypical innuendo about a sexually predatory black man. The thing about a racist paper like the Daily Mail attacking Lee Jasper is that it’s almost enough to make me feel sympathy for him. I’ve written before that it’s hard to believe that Jasper would personally seek to involve himself in corruption, but that he has always surrounded himself with a coterie that he has protected assiduously. I nevertheless think there are still unanswered questions about some of the allegations against his friends over the misuse of public funds. But in spite of the implication of guilt that might seem to attach itself to his resignation, when it comes to convincing those people who matter to Jasper - everyone who doesn’t share the narrow world-view of the typical Mail reader - the paper has gifted him a public relations coup, a ‘get-out-of-jail free’ card. Let's face it, if forced to choose between Lee Jasper and the Daily Mail, who in their right mind would back the country’s most vicious racist newspaper? The Nader Effect - Who to Blame If Boris Johnstone Becomes London Mayor? 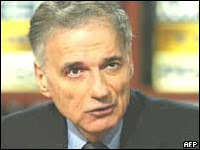 Returning to the subject of the London Mayoral Elections, I'd like to call my next witness: Ralph Nader. Nader, you may recall, stood as a Green Party candidate against Al Gore and George W Bush in the US presidential election campaign in 2000. A couple of weeks ago he announced his intention to run again in 2008, this time as an independent. Following his candidacy in 2000, Democrats were ferocious in accusing Nader of 'stealing' votes from them in key states, costing Gore the presidency. Barack Obama made the same accusation back in February, saying "He [Nader] thought that there was no difference between Al Gore and George Bush and, eight years later, I think people realise that Ralph did not know what he was talking about." Obama's analysis is, of course, quite wrong and somehow I'm guessing this won't be for the last time. In 2000, Nader received just 2.74 percent of the popular vote and the only state where his supporters seemed at first to hold the balance of power was Florida. As we later discovered, Nader voters in no way outweighed the 111,000 illegally excluded votes, chiefly from black Floridians, but by the time of the election count in Miami, Al Gore had already managed to lose the election for himself. Somehow, his lacklustre campaign had failed to even convince voters in his home state, Tennessee, or in a number of formerly Democrat states won by Clinton in 2006, such as Ohio or of all places, liberal New Hampshire. Had he won in Tennessee, where both he and his father had been Senators, Florida would not have been the issue it subsequently became. But even though we now know that the election in Florida was stolen for Bush by the Supreme Court, the Democrats just keep on complaining about Nader. Why do they still moan, eight years on? It's because they feel they are entitled to all the votes from non-Republicans, as if this is some kind of birthright. It wasn't really that Nader was a threat to Gore's campaign, but that the Green Party had the nerve to field a credible candidate that made their man look like an empty suit. And when their opponents manage to persuade large numbers of Republicans to vote, and when 48% of the population didn't vote at all for the choices on offer, they had someone to blame. Perish the thought that they might focus some attention and blame on themselves. A similar situation seems to be brewing for May's London Mayoral elections. No-one is asking why the Conservative candidate Boris Johnstone is doing so well in the polls. No-one is asking whether Ken Livingstone's style of government might have something to do with this, or whether the betrayals of the political party he belongs to might influence voter intentions. Instead, the message seems to be, "never mind our candidate, damn it, look at the other guy!" That's why we've seen the tribal appeal to 'progressive forces' to unite behind the current Mayor, in the ludicrous statement by the soft-Left Compass group that has the chutzpah to claim Livingstone as "the standard bearer for real progressive politics." That's why we are seeing ever wilder claims about the terrible things that a Johnstone will do if elected (my personal favourite comes from one comrade who raise the idea of Johnstone hosting "Rule Britannia" festivals in Trafalgar Square and anti-immigration rallies where he's the star speaker - I'm assuming this was either a joke, or the result of an over-active imagination). And that's why we have the assumption that everyone who doesn't support Livingstone supports Johnstone by default, as if Livingstone has some sort of entitlement - let's call it a socialist birthright - to every progressive vote, regardless of what he says or does. So why are the Labour Left so interested in grossly exaggerating the positive message about their man and in descending into outright lies about about an opponent who appears quite capable of screwing up for himself? It could be because it's easier than admitting that the Left, sadly, has no alternative on offer. And just as the Democrats found it so much easier to blame someone else for their own failings, I predict that if Livingstone loses, someone will be selected to carry the can. It could be a third party, especially if it's a close election and Brian Paddick or the Green Party's Sian Berry do well. But my guess is that it might well be all those on the Left who refused to get behind the Livingstone campaign, especially those who have no plans to vote at all. Now don't get me wrong, Johnstone is a loathsome human being, but if Livingstone can't beat a buffoonish Etonian with borderline satyriasis, a man who terrifies his own media handlers, then he really doesn't deserve to win. And I'm simply unwilling to give my precious vote, so hard-fought for by my ancestors as I am constantly reminded, to either Livingstone or the Labour Party. So I'll hold my hands up now. If Livingstone loses, what can I say? It's all my fault and the fault of the rest of us non-voters. Believe that if it helps. But afterwards, could we perhaps get on with asking what sort of genuinely progressive alternative we want to see for London in the future? When Channel 4 journalist Jon Snow asked whether "viewers, readers and listeners will ever want to trust the media again", after British news editors entered into secret deal to hide Prince Harry's deployment to Afghanistan, he was asking the wrong question. The idea that the mainstream journalism, with a few honourable exceptions, is interested primarily in the truth and that ethics play a significant part in the shaping of news are both rather tired myths. Guardian reporter Nick Davies' interesting book 'Flat Earth News' illustrates how the media has become a factory, desperately churning out stories and increasingly part of a dependent relationship with both government and commercial spin-doctors. Snow could just as easily have asked the same question about trust in the media over the way the Iraq war was dishonestly sold to the public - or how readily newspapers and television news have embraced the Ministry of Defence's blatant PR exercise over 'Harry the Hero' on his return to Britain. Television has positively drooled over what are clearly staged photo-opportunities and the Daily Mail and Daily Express devoted 11 pages to the story, more even than the nine pages in The Sun. The media's response has been a text-book example of the celebrity-obsessed, unquestioning 'churnalism' that Davies has so effectively described. Only the Independent on Sunday seems to have asked the most important question: whether British troops have any business being in Afghanistan. Even it concludes the the Britain's military presence is "a just war, but that its conduct over the past six years has seriously weakened its legitimacy", although "Prince Harry's tour of duty should draw attention to the impossibility of winning the support of local people by calling down air strikes." The problem with this argument is that Afghan civilians have been continually punished with aerial bombing since the start of the US-led act of revenge for the September 11 attacks on America. No efforts have been made by Afghanistan's invaders to accurately count the number of dead, although Professor Marc W. Herold of the University of New Hampshire has compiled a Dossier on Civilian Victims of United States' Aerial Bombing of Afghanistan that calculates there have been between 3485 and 4034 civilians killed as a result of US and British bombing. Moreover, each of the claims made in 2001 for the invasion's mission - the capture of Osama bin Laden, the removal of the Taliban, the creation of a functioning state and the removal of religious oppression - have all failed. Bin Laden remains free to release his insane video messages, the Taliban is growing rapidly, corruption within President Karzai's government has become endemic in a country awash with opium money, whilst the country's infrastructure remains shattered. Over-optimistic rhetoric by current US presidential candidate Hillary Clinton back in 2001 about the new freedom for Afghan women looks particularly hollow when compared to the words of one of the Afghan parliament's women MPs, Malalai Joya, who has described the US and British supported government as "bad as as the Taliban – in fact, it is little more than a photocopy of the Taliban. The situation in Afghanistan is getting progressively worse – and not just for women, but for all Afghans." Now I'm sure that Cornet Harry Wales is a nice enough lad (and that he's really, really sorry for 'hilariously' dressing up as a Nazi). But this is the reality of the war he has been fighting - one nominally on behalf of a corrupt, unstable government whose rule barely extends beyond Kabul and that has done nothing to prevent the spread of increasing theocracy. It is also one where the insurgency can no longer be described simplistically as terrorists (in Prince Harry's words, 'Terry Taliban'), but as an amalgam of different forces that includes Islamists but also disgruntled poppy farmers, nationalists opposing foreign occupation, clan groups involved in the heroin trade and in all likelihood, a number of the warlords who claim in public to support the Kabul government. It's a war that cannot be won and that the presence of British soldiers in Helmand province can only perpetuate. In such circumstances, proclaiming pride in serving your country, as Prince Harry has done, becomes a pretty empty form of patriotism - even if your granny is Commander-in-Chief of the army. If the war in Afghanistan is neither 'just' or a place for a member of the Royal Family to experience a little imperial adventure at the expense of Afghanistan's future peace and prosperity, it is no place for any British soldier. This is a war that can only end with the withdrawal of all foreign troops. Trust the media, spoon-fed their stories once again by the government and the military, to pretend otherwise.